Win N1Million Naira in 2018 Cowbellpedia!!! In the last 19 years, Cowbell has been involved in the sponsorship of Mathematics competition for Secondary Schools in Nigeria to identify, recognize and reward excellence in the subject area of Mathematics. 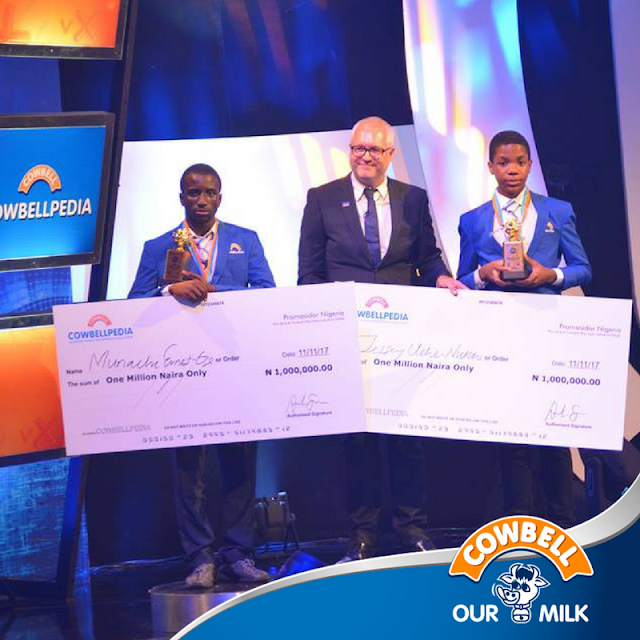 The search has begun to find Africa's next set of innovators on the Cowbellpedia Secondary School Mathematics TV Quiz Show 2018. The national qualifying examination is coming up on Saturday, February 17th, 2018. The registration for the 2018 edition of CowbellPedia is now open and closes on Sunday, February 11, 2018.